Amsterdam is one cruise liner that will definitely demonstrate the superior service that has made Holland America Line one of the top-rated cruise lines in the industry, featuring the Planeto Astrolabium, a commissioned sculpture that tracks constellations, the planets, world time and ship time. 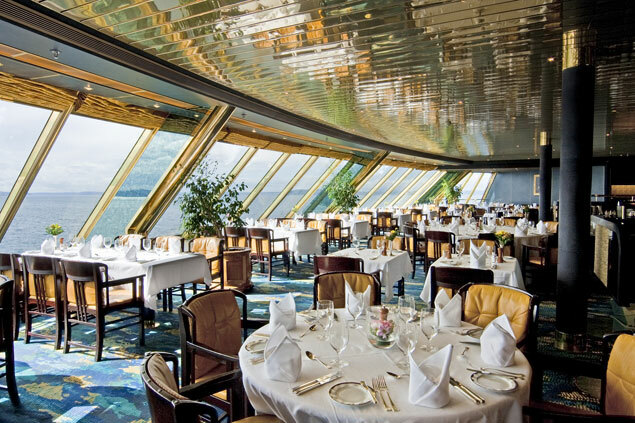 The ship has special enrichment programs, amazing dining, luxurious staterooms, and more. Book your cruise on Amsterdam today! 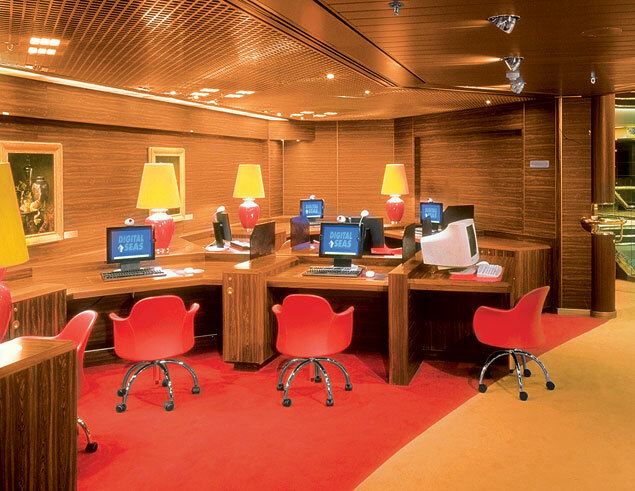 Amsterdam features a digital workshop, powered by Windows® where you learn how to share your digital memories from your cruise vacation via email, blogging, and social networking. The Culinary Arts Center is a great place to watch a cooking demonstration, while the Greenhouse Spa and Salon will help you relax in style and comfort. Dedicated youth activities abound - so kids of all ages will be busy for the whole day while you relax poolside or work out at the great fitness center. 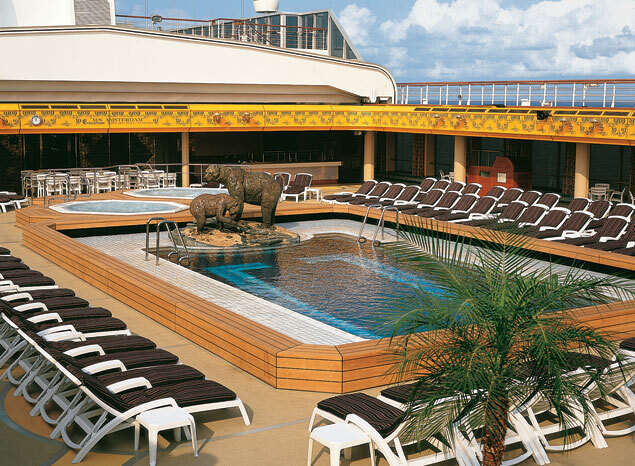 The ship has an amazing pool area, as well as a stunningly decorated atrium to explore. Teens can also enjoy their own sanctuary, where they will socialize with kids their own age away from the parents at the Loft and The Oasis. Dining on Amsterdam is a grand experience. 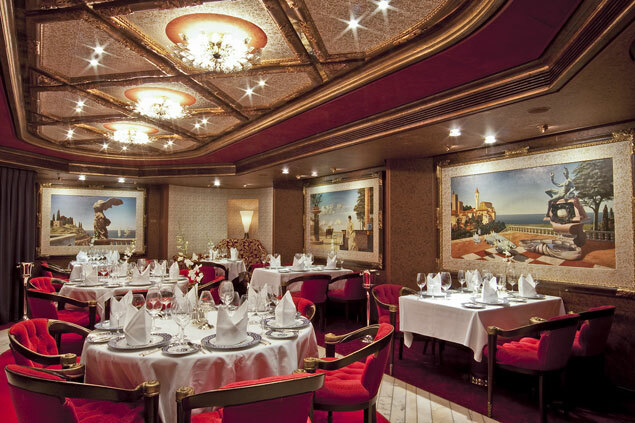 La Fontaine Dining Room features an extensive wine list to compliment your five-course menu. Choose from continental cuisines, vegetarian, and low-carb options. The Lido Restaurant has a relaxed atmosphere and delicious food with fresh, cooked-to-order specialties. The Pinnacle Grill is another great spot with amazing beef, seafood. The Explorations Café is a coffee house where you can read from the library, surf the Internet, and enjoy gourmet coffees and treats. Do not forget - the ship also has 24-hour room service. Amsterdam features the pinnacle in entertainment nightly. 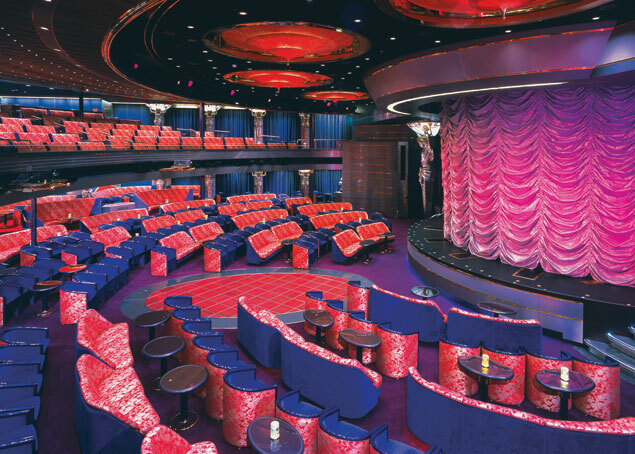 Enjoy talented variety acts, dancers, vocalists, musicians, comedians and illusionists at the Queen's Show Lounge, or dance the night away at the Crow's Nest - this spot combines sweeping views with amazing music and cocktails. 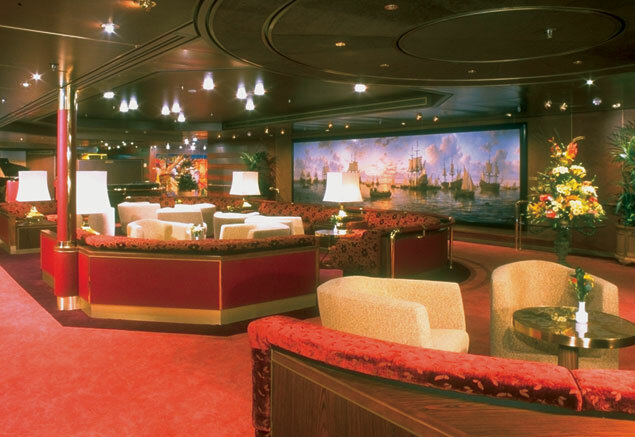 Head over to the onboard casino, and try your luck, or relax at one of the bars and lounges. The choice is yours - and every night will be quite an experience.